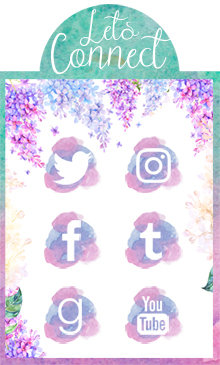 Lexa Hillyer is the Founder and President of Publishing at Glasstown Entertainment, a creative development and production company located in New York and Los Angeles. She is also the author of Spindle Fire, Winter Glass, and Proof of Forever, all young adult novels published by HarperCollins, as well as the poetry collection Acquainted with the Cold from Bona Fide Books. Acquainted with the Cold was the 2012 gold prize winner of the Foreword Book of the Year Award for Poetry and received the Melissa Lanitis Gregory Poetry Prize. Her work has been featured in a variety of journals and collections including Best New Poets 2012, and she has received several honors for poetry. Lexa earned her BA in English from Vassar College and her MFA in Poetry from Stonecoast at the University of Southern Maine. She worked as an editor at both HarperCollins and Penguin, before founding Glasstown Entertainment along with New York Times Bestselling author Lauren Oliver. She lives in Brooklyn with her husband and daughter and their very skinny orange tree. Probably Isabelle. All of my characters are probably braver than I am, but I think the doubts Isbe grapples with in book two are more in line with the same ones I deal with, too. Do you have a favorite scene or quote from your book(s)? Do tell! For some reason, I really love the evil faerie queen Malfleur even though she’s sinister and terrible. Or, I should say, I like young Malfleur, of 100 years ago, before she got that way. So one of my favorite scenes in WINTER GLASS is a flashback she has to a conversation between her and Charles Blackthorn, in which she is grappling with the idea of choosing between love and power. Who was your first fictional OTP (favorite couple)? I love the hate-to-love you trope, where two characters have friction for most of the book, only to realize how much they love each other. I hate the trope of marriage/union between a couple being the ultimate happy ending, since that is never really an “ending” in real life, only a transition from one phase of challenges (do they like me? will we get together?) to another (now that we are, how do we deal with ourselves and each other, how do we cultivate tenderness when things get hard?, how do we push ourselves to grow even if it challenges the relationship?) These are all things I tried to explore in WINTER GLASS to some degree! Definitely 18th/19th century classics like the works of Austen, Hardy, and Eliot. Also the Mists of Avalon which I read when I was twelve (I feel like that was the Game of Thrones of its day! I haven’t gone back to it, though, so no idea if it holds up). Also in the past few years and while writing my series, I was hugely influenced by Marie Rutkoski’s Winner’s Curse trilogy; the slow-burn romance and the inner turmoil and cleverness of Kestrel in particular! What is one material possession you can't live without? If it’s difficult, that’s okay, it wouldn’t be pushing you to be better if it wasn’t hard. Stick with it! Thank you, Lexa, for being on Brittany's Book Rambles and doing this interview with me! Have you guys read Spindle Fire yet? What did you think of it? Are you excited for Winter Glass? Let me know! Lovely interview Brittany! 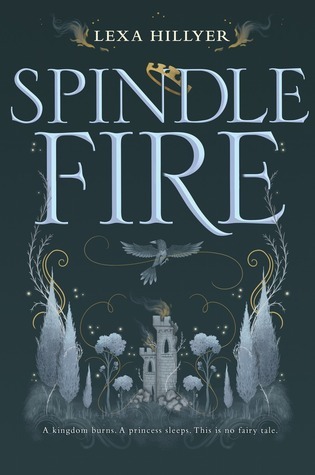 I admit, I wasn't the biggest fan of Spindle Fire, but I kind of want to pick up the sequel to see where the characters are headed (plus, new retelling!). I really enjoyed the question about weddings/marriage being a HEA - life really isn't like that and it's good to consider especially when writing for Young Adults! Thank you! I haven't had the chance to read it yet but I'll probably try both books as audiobooks. Thank you, Amy! I haven't read it either but I've heard great things! I also love retellings so I really need to get on this. "Teacups" XD I died! What a hilarious and random answer. Lovely interview! Omg I know! And it makes so much sense too haha. Thank you! I haven't read Spindle Fire but I do want to read it sometime because I've always thought it sounds amazing. This review was really great, Brittany! I loved the author's answer to what material possession she can't live without. I feel it! I'm probably going to read this as an audiobook but these books sound perfect for me. I also loved her answer! It's the most unique answer I have gotten to this question. Thank you! It was my pleasure to share ^_^ I'm sorry they weren't for you, I think I'll give them a try as audiobooks and see what happens. The covers are gorgeous! Yeah, I need to stop sleeping on these books. I'm glad you enjoyed the interview! Oooh this is an awesome interview, Bethany! I've never thought of the happily-ever-marriage trope being a bad ending before, but I totally see Lexa's point! I'll probably think about that the next time I read an ending like this. Eep this is a fun interview and I totally agree with the advice of the last question. :D It's also more satisfying when you finally make it if it's hard haha. Also LOVE the sound of Spindle Fire! :O I definitely want to try it someday. I love fairytale retellings and this one is on my list. I love the look of it and your Interview has made me even more intrigued! Love this interview darling!! I am 80% done reading Spindle Fire at the moment and it's one of the best fantasy books I've read in the past years. Seriously love it and can't wait to dive straight into Winter Glass, which arrived at my doorstep just a couple of days ago! Great interview! I haven't read Spindle Fire yet but it sounds amazing! Spindle Fire has been on my list to read for a while. I need to hurry up and read it I think! Great post! I love author interviews.